Our picnic tables are free to all of our guests. 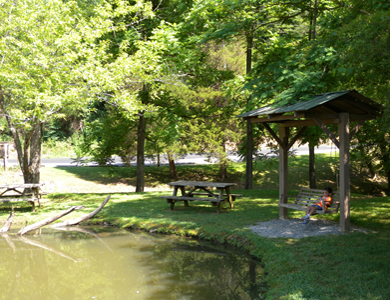 Bring your picnic baskets and enjoy the shaded picnic area along the Little Cove Creek. 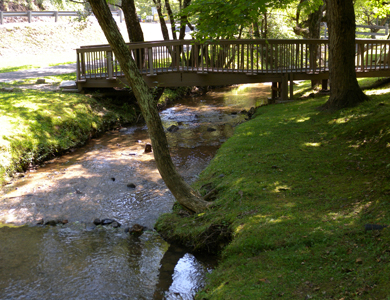 We have a foot bridge to walk over where the kids can wade in the creek and enjoy the hot Summer days! 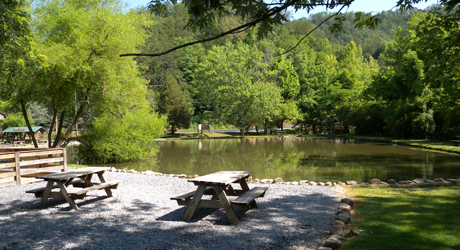 Picnic tables are located along the creek and around our fishing pond. We also have 2 horseshoe pits near the picnic area. Come out and test your skills!